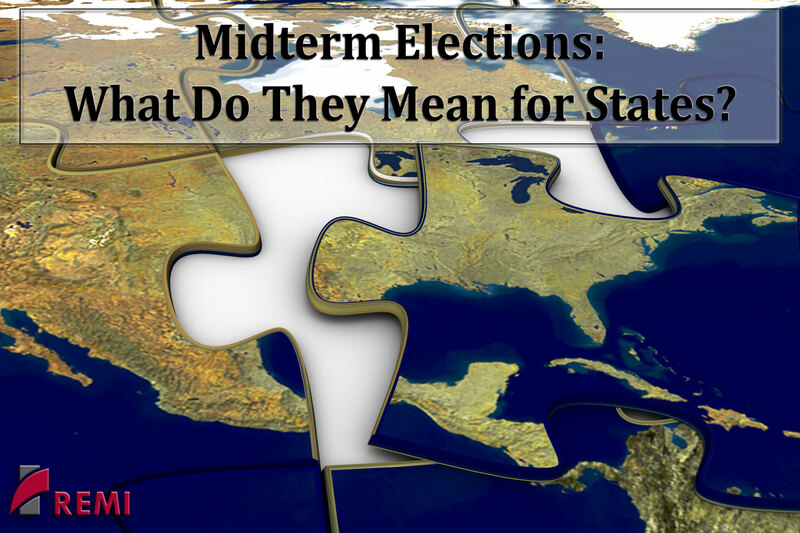 » Midterm Elections: What Do They Mean for States? Midterm Elections: What Do They Mean for States? With significant shifts in gubernatorial and legislative seats and a divided Congress, state policymaking has been thrust into the limelight following the 2018 midterm elections. In preparation for the upcoming legislative session, REMI will offer a nonpartisan economic outlook for multiple states, based on the issues that determined their elections and the candidates chosen. Please join us for a webinar on Wednesday, December 19th from 2 to 3 p.m. EST that will be presented by REMI Economic Associate Cameron Luther with the help of economic assistants Michael Owens and Nicholas Boccelli. This webinar will specifically look at states where partisan control of the governor’s office flipped. We will utilize the REMI model to forecast the effect of campaign-promised policies on the state economy. Participants will gain insight into the economic, demographic, and fiscal implications of popular policies in the realm of infrastructure, taxes, and more.